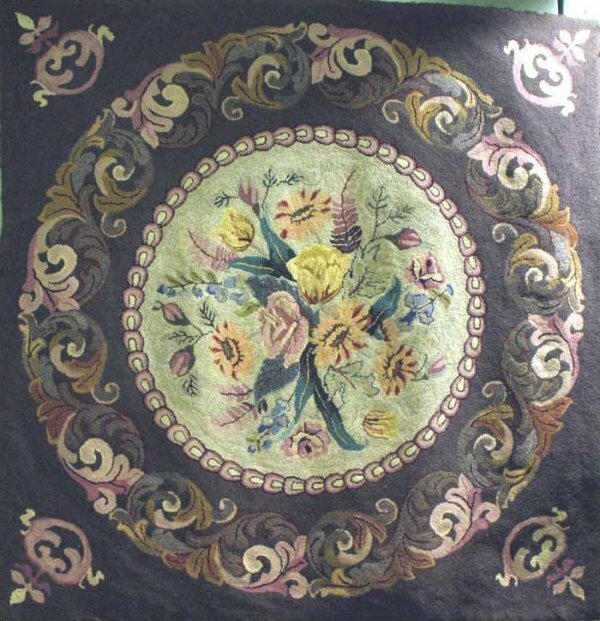 Superlative composition and hooking technique are hallmarks of the rug designs of noted teacher Pearl McGown. The circle is filled with realistic beautifully shaded spring flowers| a coloring technique for which McGown was highly respected. The surrounding square framework is a neutral greige color with skillfully placed scrolls. Awaits a new binding in your choice of color.